A healthy person is at low risk for developing lifestyle-induced diseases and should be relatively pain-free. 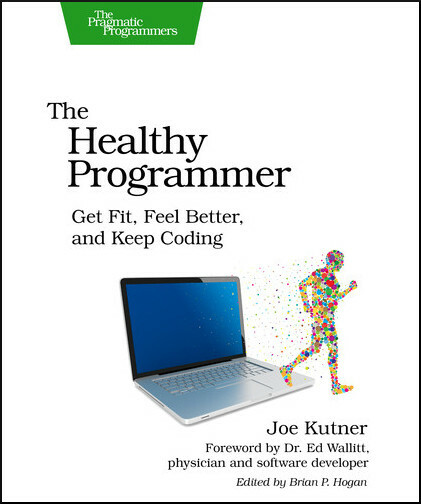 This book provides an agile approach to improving your health. Every point made in this book is backed up by scientific research, published in a peer-reviewed journal. What did I do yesterday to improve my health? What will I do today to improve my health? Is there anything blocking me from staying healthy? reward - helps your brain figure out if this particular habit loop is worth remembering for the future. The key to changing habits is to keep the same cues and rewards while replacing the routine with something new. Start slowly. You can’t make noticeable changes to your health in a single day. Tip #1: Studies show that doing exercise before or after learning something new can help you remember it. Tip #2: Twenty minutes of exercise each day can reduce your risk of dying prematurely by twenty percent. It is recommended to take 10 000 steps per day, including 20 minutes of brisk walking (1000 steps per 10 minutes). Take a walk after learning something new or if you're having trouble solving a tough problem. Target heart rate to make any exercise effective is about 60% of maximum heart rate, which can be estimated by subtracting your age from 220. Be sure to check your heart rate during and after the exercise to ensure that you're reaching your target. Resting heart rate can tell you a lot about your body. A normal range is between 60 and 90 beats per minute. Goal #3: Find your resting heart rate. 3. A Farewell to Chairs? Standing up can increase your alertness and concentration, but the health effects of a standing desk may not be what you expect. Even standing for just a few hours at a time can put you at risk for many health problems - some of which are life-threatening. Regularly check your blood pressure. Learn what kind of measurement you should expect, and watch for significant changes over time. Tip #3: Five minutes of activity every hour can reduce your risk of developing many life-threatening diseases. Take a break and get at least 5 minutes of movement every hour. If you can't get away from your desk, try doing some sitting exercises. Tip #4: A good workstation should allow you to work from at least three different positions. Work from at least three different positions every day, but you should change these every 20 minutes. If you've been sitting, then stand up. If you've been standing, then sit down. If you have high blood pressure, then it is not recommended that you use a standing desk. Keep more than one kind of chair in your office - a regular office chair, an exercise ball, a drafting stool, or even a cycling desk.